Microsoft’s chief marketing officer for gaming said that the company is focussing on enhancing the gaming experience on PC. Microsoft has cleared the air over its plans to bring Virtual Reality (VR) and Mixed Reality (MR) support to Xbox One consoles and said it is not working in this direction. This did not come as a shocker because Microsoft has not covered any ground in the development of any VR content for the platform since the day the announcement was made. The latest comments contradict the company’s comments that were made in 2016 when the company announced Project Scorpio. In an interview to GamesIndustry.biz, Microsoft's chief marketing officer for gaming Mike Nichols said that the company doesn’t have any plans specific to Xbox consoles in virtual reality or mixed reality and want to focus on making the experiences on the PC better where it has the maximum number of customers using its services. "Our perspective on it has been and continues to be that the PC is probably the best platform for more immersive VR and MR. As an open platform, it just allows faster, more rapid iteration. There are plenty of companies investing in it in the hardware side and the content side, or some combination therein. Obviously on phones, augmented reality is a good scenario as well that's going to grow. But as it relates to Xbox, no. Our focus is primarily on experiences you would play on your TV, and ultimately we'd like to make those experiences more broadly," Nichols was quoted as saying. 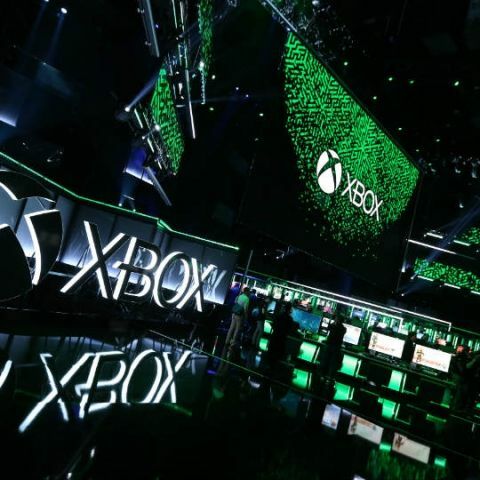 At this year’s E3, Phil Spencer, Head of Xbox took the stage at E3 to announce 50 games, 18 of which were exclusives, some third-party games that were shown off for the first time and some DLC’s. But there was hardly any word on VR gaming. Spencer is the same executive who talked about VR gaming support on Xbox One consoles back in 2016. At Microsoft E3 2016 presentation, Spencer said that he was “long-term bullish”, and a “believer in the category”. The following year at E3 2017, the company announced that ‘Project Scorpio’ would officially launch as the Xbox One X, a console which is more than capable of running VR. This was also Microsoft’s first attempt at bringing 4K gaming to Xbox. “Project Scorpio” edition console is powered by a 2.3Ghz custom AMD CPU and a graphics card that claims 6 teraflops of graphic prowess, 12GB of GDDR5 memory coupled with 1TB of HDD for storage.